Last weekend was my last ski weekend of the year. 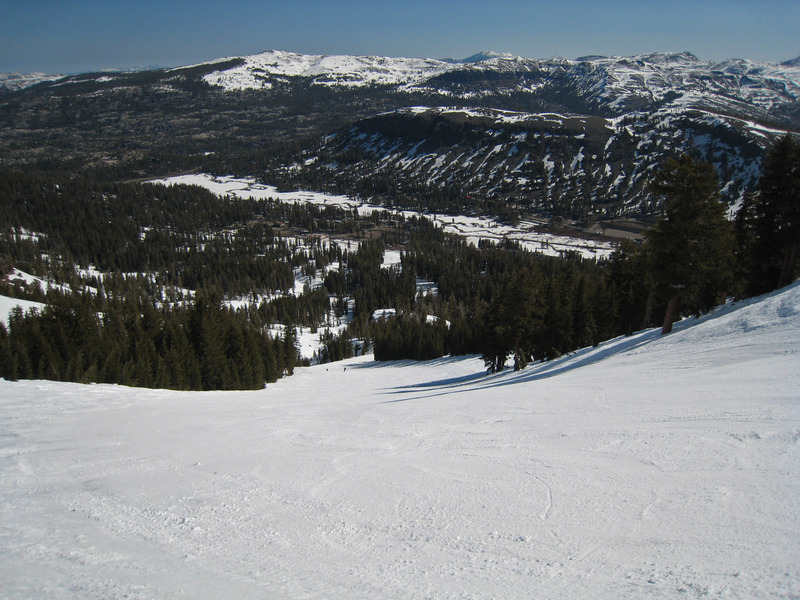 Heavenly had closed, so I spent both days at Kirkwood. Tyler joined me on Sunday for closing day. It was in the mid-50’s both days, so conditions got predictably slushy by noon, but I still managed a lot of vertical by doing 9-minute laps on Chair 6 with a few Chair 11’s thrown in for a break. Everything else worth skiing was closed for the season, although coverage was still 100%. It was a great last hurrah for the season, but I don’t think it’s going to keep me happy all the way until next November! Total days this season were 32 for me and about 18 for AiRung before she got injured. We will now switch over to camping and hiking with the dogs until the resorts open again next November. I just put up a new review of Breckenridge, Colorado. This entry was posted in Uncategorized on April 28, 2013 by Ron Thompson.